Established in 1636 by Dutch settlers, Red Hook is one of Brooklyn’s first settled neighborhoods. The construction of the Erie, Atlantic and Brooklyn boat basins with the development of pier and dock infrastructure in the 1840s set the stage for Red Hook to become one of the United States’ most important maritime hubs. As a port, Red Hook attracted many manufacturing and industrial businesses to the area. In the early 1900s the New York Dock Company constructed innovative large concrete warehouses with the ability to contain fumes and withstand flooding. The company became the largest employer in Red Hook, providing businesses with its loading and unloading services. The development of the Red Hook Houses in 1938 solidified Red Hook as a working waterfront, housing thousands of local workers. Today, Red Hook retains much of its working class values. The overwhelming majority of residents live in New York City Housing Authority’s Red Hook East and West Houses. While the construction of the Gowanus Expressway in the late 1940s and the opening of the Brooklyn Battery Tunnel in 1950 served to geographically sever Red Hook from the rest of the district, today these arteries have made Red Hook the ideal location for companies that depend on their proximity to NYC clients, fast turn-around times, and that depend on water-born transportation such as barging and shipping. The Industrial Business Zone (IBZ) in Red Hook is one of 16 citywide established in 2006. In IBZs, the City provides tax incentives and other benefits to support the preservation and growth of industrial and manufacturing businesses. In 2012, of the 6,000 jobs located in Red Hook, 58% were in the industrial, manufacturing, construction and maritime sectors. Sources: Existing Conditions and Brownfield Study of Red Hook, Brooklyn. Department of City Planning, Office of Environmental Remediation, September, 2014; Dun & Bradstreet Report, 2012 from Red Hook NY Rising Community Reconstruction Plan, March 2014. Gowanus is home to one of Kings County’s oldest bridges, the elegant Carroll Street bridge. It first opened in 1889 and uses a retractile method to allow boats on the Gowanus canal to pass. 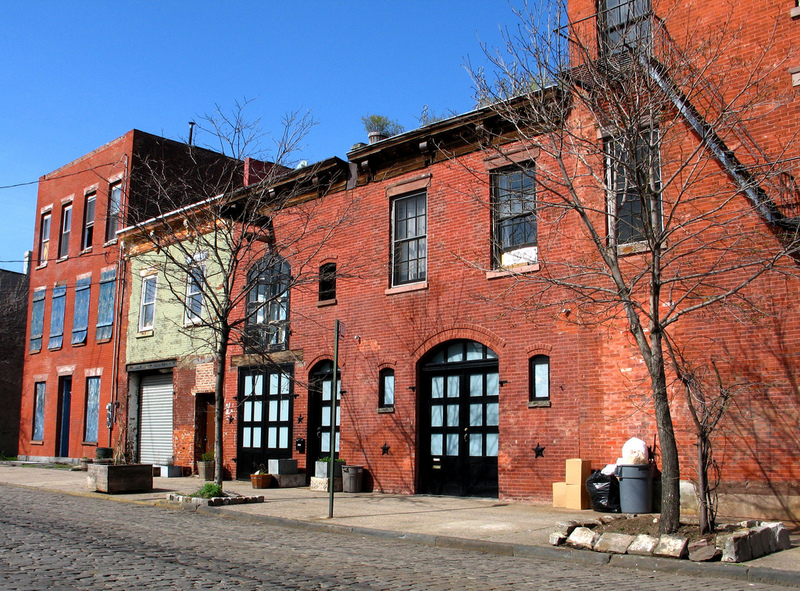 Red Hook is home to the largest concentration of Civil War-era warehouses in the city. One of the neighborhood’s main attractions is the The Waterfront Barge Museum. Anchored at Red Hook’s Pier 44 the museum is housed in the Lehigh Valley Barge No. 79 and is the only surviving example of a wooden-covered cargo barge. Immigrants played a strong role in the development of Sunset Park. The area was originally settled by the Dutch and remained farmland until the grid was established in the 1830s. Up until the 1980s, Sunset Park was home to a large Scandinavian community. Today it is known for its vibrant Hispanic and Asian communities.